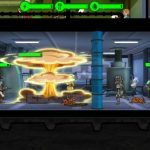 It’s now been months since the release of Fallout Shelter for iOS and Android devices, and if you’ve been playing it regularly since then, you’re far from being alone. 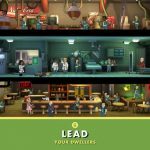 You probably have read our previous Fallout Shelter strategy guides and picked up a few tricks you never considered before, or learned a couple new things on your own. This time, we’ll be focusing on having Dwellers leave the comfort of their vault to go exploring the Wasteland – you know that you have them do this so you can score some loot, but how do you make the most out of these trips outside the vault? Here are a few tips and tricks to help you with that, and help you score more and better loot. 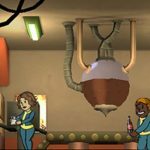 When you’re starting out in Fallout Shelter, with only a few Dwellers in your vault, you really have no choice. There isn’t anything wrong with sending anybody who isn’t doing anything. But you should also make it a point to give them the best possible armor, whatever Stimpaks and RadAways you currently have, and hope for the best. But don’t leave them out there for too long or they may end up dying on you. Still, having some Dwellers explore the Wastelands is the best way you could get better weapons, armor, and the like, so tough it out and make sure they’re armed with the best possible weapon at the time. Which brings us to our next tip. By instinct, you may be sending Dwellers with a large number of Stimpaks and/or RadAways, but typically these Dwellers may spend about 18 to 20 hours tops. You may also be sending your highest-level Dwellers to explore, but the same thing may be happening – outfit them with RadAways and Stimpaks galore, but to little avail as far as spending more than a day is concerned. However, as it seems the key to success is the choice of weapon. Survivors who have better-quality and higher-end weapons tend to survive longer. For example, you may have a lower-level Dweller sporting a Lead Belcher, which is good for 19-24 Damage, outlasting someone with a higher level, but with a less impressive weapon capable of only 15 Damage or less. 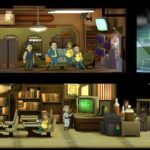 Indeed, it’s the choice of weapon that matters the most, and that’s something we recommend the next time you play Fallout Shelter. Even if we did tell you that you should focus on equipping your exploring Dwellers with good weapons, that doesn’t mean you should send them off with few Stimpaks and RadAways, or worse, none at all. You should still give them the maximum number for each, so they have something to heal them in the event of injury, and something to keep the radiation away. If you’ve got someone with the maximum number of Stimpaks and RadAways and a good weapon, you can easily have him or her exploring for days on end.